At New Betting Offers we constantly compare all the betting sites licensed to operate in the UK, and any site that stands out with a great offer for new customers, strong odds, or both, will be featured. Only available to new customers.Min. deposit £20 (no Skrill/Neteller). Cashback capped at £20. Max bet £100. Must wager £400 for full cash back. Place a single sportsbook bet of £10. Qualifying bets do not include each way bets. Skrill or Neteller and E-wallets are not eligible for this promotion. Bet £10 & Get £10 + KARAMBOOST! *Sort the table by clicking the arrows in each column. T&amp;Cs apply to all new customer offers in the table above. Click "Claim Now" for more details. *Sort the table by clicking the arrows in each column. T&Cs apply to all new customer offers in the table above. Click "Claim Now" for more details. Who are New Betting Offers? We are a team of industry insiders here to cut through the noise and bring you the best new betting offers available to UK punters today. Our content is updated daily to ensure we always bring you the very latest betting offers for both new customers and existing customers, and if strategies and insights are your thing, then be sure to have a read of our betting guides before placing your next bet. All bookmakers build margins into the markets they take bets on, in order to hopefully guarantee themselves a profit. Therefore, as a punter if you have the ability to calculate betting margins using a simple formula, then you can easily identify which bookies are offering the best odds. The best way to explain how this works is using the classic coin toss scenario. In any coin toss the probability of heads is 50% and tails is 50%. So the true odds for both outcome is evens (2.0). 50% + 50% = 100%. Making this a fair, or “round” market. However, if a bookmaker offered the above true odds on a coin toss and took an equal amount of money on each outcome, they would just break even and not make any money. For example, if they took £100 on heads and £100 on tails, at these odds of evens (2.0) they would be paying out £200 regardless of the result, meaning a profit of £0. Therefore, bookmakers will offer lower odds than the true odds in order to build in a profit margin. Keeping with the coin toss example, a bookmaker might instead offer odds of 10/11 (1.91) on both heads and tails outcomes. This is now implying that both have a 52.36% probability of being the correct outcome. 52.36% + 52.36% = 104.72%, making this an “overround” market, where the bookmakers margin is 4.72%. So now if they took £100 on heads and £100 on tails, at these new odds of 10/11 (1.91), and the result is heads, the bookie would pay out £191 (£100 x 1.91) on heads and be left with £9 profit. Likewise, if the result is tails they would pay £191 out on tails and still have a £9 profit. Now bookmaking is a business, so it’s fair enough that the bookies have their margins, however as punters we should always be looking for the best value for our money, and by this we mean the betting sites that have the lowest margins and offer as close to the true odds as possible. Let’s compare the odds offered by Skybet and Marathon for the Tottenham v Man Utd match. From this simple calculation we can see that skybet’s margin is considerably bigger on this match than marathon bets, so Marathon bet are the best value by a long way.! If you do this for every Premier League match (as we do over on our Premier League Margins page) you will be able to see the bigger picture, and which bookies consistently offer the best value for money. This formula can be used on any market in any sport. Remember, the lower the bookies margin the better value it is to you! 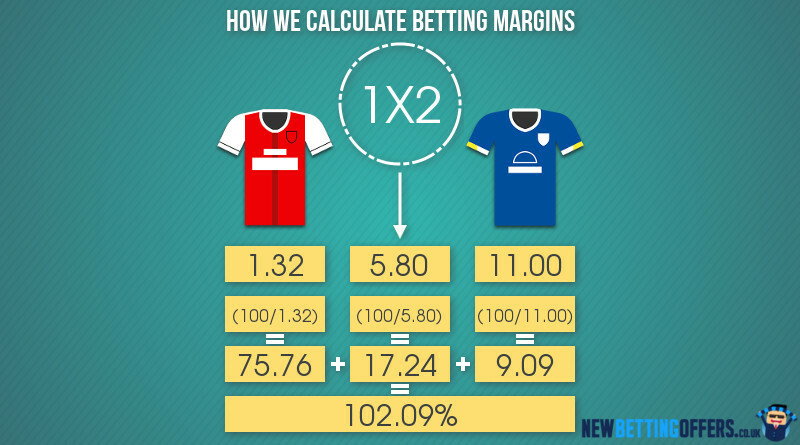 How do we Calculate the Betting Margin for a Football Match? Suppose we take the match between Arsenal and Everton at the Emirates as an example, and compare the odds offered by Betsafe and Paddy Power. So we would be better off to the tune of £32 if we placed this bet with Betsafe. And that’s just on a double. The difference in your returns will keep growing as you add more and more selections and the extra value offered by the low margin bookies is compounded. The lesson is, make sure you shop around and look at the prices before placing your Premier League bets, particularly if you place accumulators. It’s not always a case of the biggest firms who shout loudest with the biggest tv marketing campaigns offering the best value odds, in fact it’s the complete opposite! 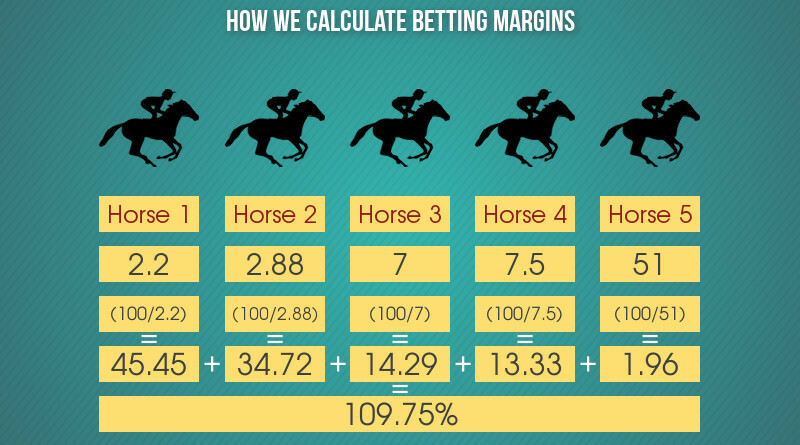 How do we Calculate the Betting Margin for a Horse Race? The above shows that ComeOn have built in a lower margin here compared to William Hill, and are therefore offering the better value odds to customers. In this particular case ComeOn are either equal to or better than the price offered by William Hill for every single horse in the race. This will not always be the case but the bookmaker with the lower overall margin built into a race will, by definition, also be the one with the better odds on the majority of runners in that race. So, the lesson is, shop around before placing your horse racing bets. Don’t assume that the older more established bookmakers have the best prices, as more often than not, they don’t! When you open up a new betting account, or from time to time from your existing bookmaker you will receive a betting offer from them. These offers can vary a great deal, so it is always important to look at the offer and understand exactly what it is that you are getting. If you are unsure about any of the offer types that are available, here is a rundown of each one, telling you everything you need to know about them before you begin to take advantage. These are exactly as they say they are, free bets. These are given to you from a bookmaker and you can use these to place any bet you like with them. The free bet amounts will be shown in the terms and conditions, and for large sums the bookmaker usually splits them up into smaller free bets. For example, instead of giving you one £30 free bet you may receive three £10 free bets. These are the easiest and simplest to understand, and you can use them as you please without having to do anything else. These are given to you dependant on a bet that you place. When it says matched, that means that whatever you put on, the bookmaker will match and give you a free bet to the same stake, although there may be an upper limit on this so check the T&Cs. To give you an example of this, if you are given a matched free bet up to £50 from your bookmaker then the only way you will receive £50 is to place a bet of your own to that value. If you place a £20 bet, then you will only receive a free bet of £20. This is the difference between matched free bets and standard free bets, and because of that it is only usually big staking punters that take advantage of the maximum allowed. Some bookmakers give out risk free bets to their customers and these are essentially free bets, but only if your qualifying bet loses. For example, if you are given a risk free £20 bet then you place a £20 bet with your own money, if the bet wins you get the returns and no free bet, but if the bet loses you will be given a free bet equivalent to the value of your stake. The only way you will see something for this is by spending some of your own cash first, and then if the bet loses you will get a free bet to the same total. This means you get a risk free bet on your selection, but should that win then you won’t get a free bet. Risk free bets are popular with bookmakers, but you do have to spend your own funds first before getting the free bet. These are one of the most common ways to earn bonus funds and this is when a bookmaker will match your first deposit with them, up to a fixed amount. For example, a 100% matched bonus up to £100 means that if you deposit £100 of your own cash, the bookmaker will give you another £100 in bonus funds to play with. Make sure you always look out for the percentage, as if the example above was a 50% matched bonus, you would need to deposit £200 to get the £100 bonus. These offers are probably the most common and a great way to build a betting bank. You will have to roll over your bonus funds before they are turned into real cash, but you can bet with them how you like, in whatever stakes you like so they are more flexible than free bets. A deposit bonus is where a bookmaker gives you a bonus for depositing with them. Sometimes this is with a new account, but existing account holders can also take advantage of this. Unlike with a matched bonus where the bookmaker gives you a percentage, deposit bonuses work on cash amounts, so for example if you make a deposit over the weekend of £50 you will receive a £10 deposit bonus. Free bet bundles are slightly different to free bets because you are getting a bundle and you know what that bundle is. For example, instead of £50 in free bets, a bookmaker may offer different free bets as a bundle of £50. This may be something like 3 x £10 sports bets, 1 x £10 in-play bet and 1 x £10 casino voucher. These bundles are becoming increasingly popular as bookmakers try to get punters into betting on a multitude of different things, and playing inside their casino. If you are with a bookmaker that offers you cashback on losses for a set period then this will usually be worked out as a percentage. For example, in your first week with the bookmaker they may offer you 10% cashback on your losses with them. This means if you lose £100 in your first week, they will give you £10 of that back as funds to spend again. These offers are not as common, and if you happen to have a week where you are level or you win, then you will see no bonus at all from your bookmaker. One way welcome offers are created by bookmakers is by offering an enhanced price boost on a particular selection. For example, they may offer 25/1 on England to win a football game, when their actual price is 4/5. You can join and take advantage of this huge offer, backing England at the huge price and hopefully seeing them win to give you a nice betting bank to work with. It is highly likely that you will be paid out in free bets as your winnings, but this can be checked in the terms and conditions with your bookmaker. Accumulator betting is one of the most common ways to bet on football and each week people from around the world will place accumulator bets on the big games. The draw of an accumulator bet is that you have the chance to win a huge amount of money from one bet, and the stakes can be kept small. Winning big for a small stake is the type of betting that appeals to many people. There is also a lot of pride involved when landing an accumulator, so be sure to tell your friends and when you land one! Choosing a winning bet is not easy, you have to predict many different results correctly and hope that they all come in. You need every single one of your selections to win for you to get a return for the bookmakers, but landing an accumulator will give you a great feeling. It is that feeling that accumulator punters look for, and one that you will never forget after landing your first big bet. An accumulator (or Acca) bet is one single bet that you place on a number of selections. For you to get a return you have to pick out winners from all the games you choose, if just one lets you down then you will not get a return. Staking an accumulator is easy, it is one bet so costs the same as your stake, a £10 acca will cost you a total of £10. Although there are many teams involved, by having just one bet on them all makes an accumulator a very simple bet. While other bets may give you more coverage on your selections, they can often become expensive and complicated, whereas an accumulator is easy to place, easy to stake and very easy to work out whether you have won or not. Many newcomers to football betting begin by placing accumulators on teams they think will win, simply because this is an easy bet to understand. Why Place an Accumulator Bet? The simple reason as to why you should place an accumulator bet is because they give you the chance to win a large amount of cash for just a small outlay. When you are placing an accumulator, with each winner on your bet the money rolls up and goes onto the next selections. This builds up to give you a big sum, so you don’t need to be placing a large bet to win big, if you have enough selections on your bet then you can win big from just a small stake. That is why the accumulator bet appeals to many different people, and why they often stick to accumulator bets and nothing else. The hardest part of placing accumulator bets is finding the right balance when it comes to the number of selections to put in your bet. There is no right or wrong answer to this, it is a personal choice that you have to make. 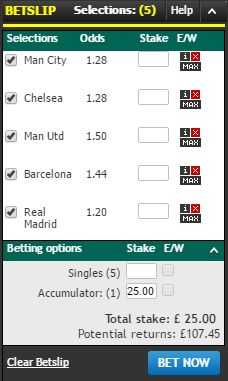 Try to make things realistic, but remember the fundamental values of an accumulator, the aim is to win a big amount of money from a small stake, so don’t be too concerned about putting selections in. When you are looking at the teams you are going to bet on, after you have picked some take a look at the bet and what you would win if you added no more to the bet. If you are happy with the amount of money you would stand to win then go with the bet and don’t add any more. However if you want to win more then add another couple of selections and repeat the same again, seeing what you would win. A trap that many fall into is putting too many selections in their bet, they will stand to win a lot of money but it is highly unlikely the bet will land. Keep things realistic and you will eventually find the right balance between a realistic bet and one that wins you a lot of money. When you place any bet at all you should always look around for the best odds and an accumulator is no different. 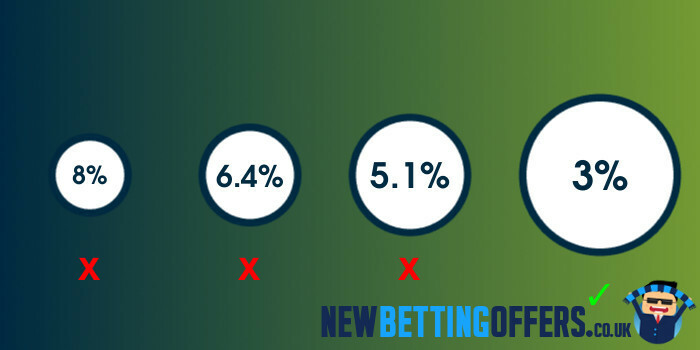 When you are backing multiple selections in an accumulator, even just a slight difference in the odds that you take can have a huge impact on the returns you will receive if you win the bet. By not taking the best odds when you place a bet you are leaving profit behind and never taking full advantage of your winning, so be sure to look around when you are betting. The best punters not only pick successful selections, but they also bet the right way and taking the best odds is part of doing that. The Premier League is one of the biggest leagues in the world, and a huge league for betting in. The bookmaker margins for this league can be looked at, so you can see where the best odds are likely to be found. For example, Marathon Bet have the lowest margin so compared to any other bookmakers they will generally offer the best odds. BetSafe, Betfair, Bet365 and BetVictor also offer a very low margin so these should also be looked at when you are trying to find the best odds for your bet. By taking the best cumulative odds every time you bet, you will leave nothing on the table and always be as profitable as you can possibly be. Acca insurance is a great offer from selected bookmakers that will give you your money back should your accumulator fail by just one selection. If you are getting close to landing a big win, but you find yourself missing out by one then acca insurance could be the offer for you. 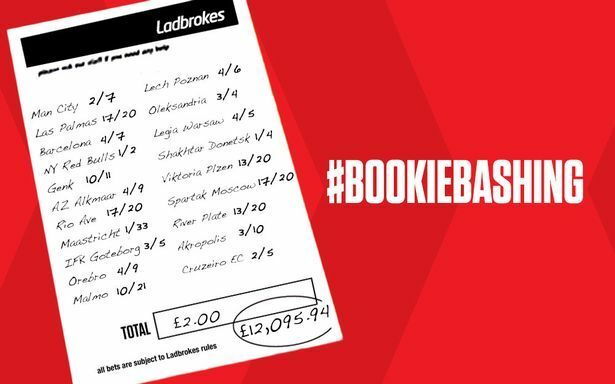 There are a handful of bookmakers that offer acca insurance and the best offer to be found currently is with Ladbrokes. They offer acca insurance on bets with five selections or more, which is lower than other bookmakers and the refund they offer is up to £25, which is one of the biggest. Some bookmakers will offer you a bonus payment on top of your winnings if you manage to land an accumulator, and this is something you need to check out. This will increase the return you get, and with big bonuses out there to be had, you could find yourself winning a lot more than the odds suggest, which is great for your profit. These bonuses start from bets with just three selections with selected bookmakers, with BetStars, Bet365, NetBet and SportNation offering a bonus on bets with three selections. Bet365 and BetStars offer a 5% bonus for this, making them the highest when it comes to bonuses for three winners. Bet365 and BetStars also offer the biggest bonuses, both of them offer a 100% bonus for a 14 team winning accumulator, meaning if you are lucky enough to land a huge 14-fold bet, you will be paid out at double what the odds suggest thanks to the great bonus on offer. If you are looking for variety when using an acca bonus offer then BetStars are the ones to go with. They offer the chance to win an acca bonus on all football leagues from around the world, whereas some bookmakers restrict the leagues that you can win bonuses on. They also allow you to use eight different markets in an attempt to win a bonus, compared to just one or two with some bookmakers, so you can place a wide variety of bets, anywhere in the world to try and pick up your bonus. Being able to cash out your bets is something that is becoming increasingly popular, with many bookmakers offering punters the choice to do this. Some people like to cash out bets when they have the chance to win a nice profit, and even if this is something you haven’t done before, it is nice to have the choice. Alongside standard cash out, some bookmakers are now offering partial cash out where you can cash out part of your accumulator, and leave the rest of your stake running. This gives you the chance to take a profit from your bet, and also continue to cheer it on in the hope of winning some more money. Bookmakers 10Bet, Bet365, Betfair and BetVictor all offer partial cash out alongside offering standard cash out so if you want your betting to be flexible then these are the places to check out. You don’t always have to cash out either fully or partially, but putting yourself in the most flexible betting position possible means that you have many options open to you. This will then allow you to assess each situation and each bet individually, and hopefully you will be able to make the right decision for each bet you have.